Eating living foods doesn’t always have to be boring. If anything, living foods come in so many forms which should give you plenty to choose from. Living foods are the freshest and highly rich in vitamins, nutrients and enzymes. Actually, the enzyme content of living foods is far superior to that of cooked food. This is because enzymes in living foods are dormant. Sprouts make about 50% of all living foods. The reason why sprouts are a favorite to many is because of the high concentration of nutrients and enzymes, making them easily absorbable by the body. Reserved energy in the body can thus be used in creating and cleansing the immune system and creating healthy cells. • Broccoli — broccoli contains sulfophane which is known to protect cells from becoming malignant. It also plays a major role in the release of glutathione, an enzyme that neutralizes or detoxifies carcinogens before they can damage DNA. 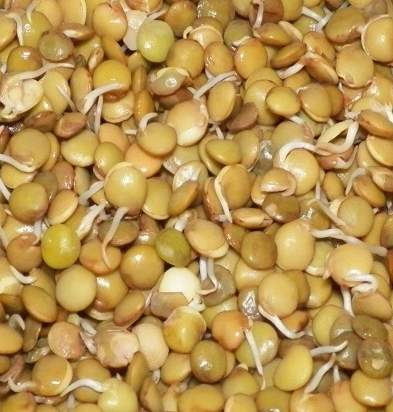 • Buckwheat — buckwheat sprouts promote proper blood circulation and digestion. It also aids in elimination of anti plaque properties and helps neutralize the effects of sun radiation. • Sweet pea — sprouts of sweet pea are rich in protease inhibitors which have been proved to prevent certain chemicals and viruses that can cause cancer. Sweet pea is also helpful in reducing bad cholesterol (LDL) in the blood. • Fenugreek — this plant soothes mucous membranes and also helps in cleaning and nourishing the digestive system. It also contains a chemical known as chorine which is a fat controller thus helps with weight loss. Fenugreek also reduces inflammation. • Lentil, Mung and Adzuki — these contain soluble fiber useful in lowering cholesterol levels, usually by removing bad cholesterol from the blood. The plants also regulate insulin thus helping in controlling blood sugar. • Sunflower — is rich in protein (up to 30%), vitamin D and lecithin. It should be noted that vitamin D is very rarely found in vegetables. Sunflower also contains several trace minerals making it a great food for bones, tissue tone, muscles and development of healthy red blood corpuscles. • Cover — cover is a blood purifier, high in calcium and great at relaxing the central nervous system. It is full of plant estrogen which helps in balancing hormones and also contains isoflavones which are believed to be anti-cancerous. Other great sprouts include alfalfa, mustard, garlic, onion and cabbage. Eating sprouts is therefore not just about enjoying your meals; these plants are rich in amino acids, vitamins, fatty acids and numerous minerals.